Touchdown Hanoi! Due to a few delays at the airport we arrived much later than expected. 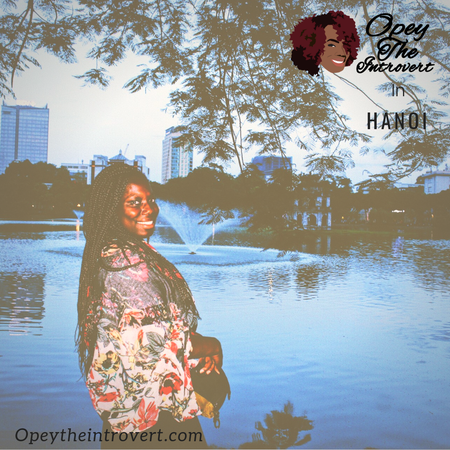 First impressions of Hanoi as the capital of Vietnam? Pretty cool and chilled. Our hotel was situated in the old French quarters which was ideal and right at the heart of the action. 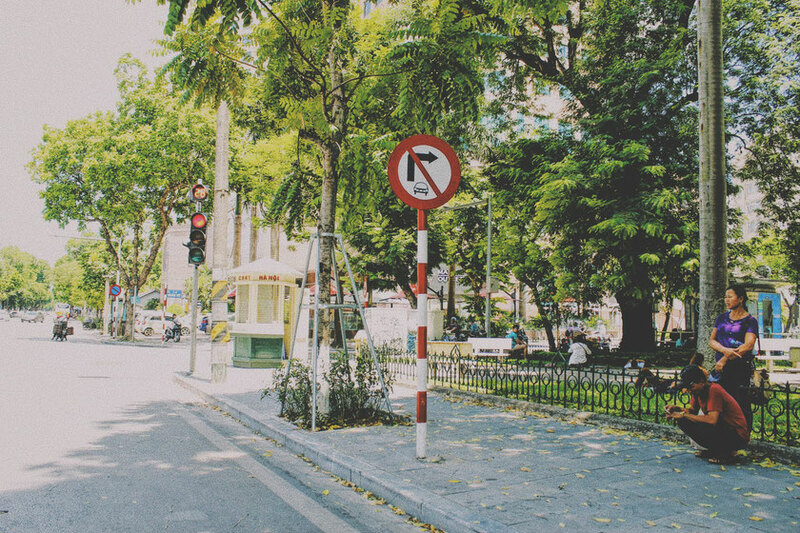 As the name suggests, this part of Hanoi serves as a throwback to how the architecture and design of the city was whilst under French ruling. Nowadays it is a thriving commercial area of sorts that caters largely to tourists. You can buy anything and everything within the French quarters as it really is quite diverse. I would recommend walking as whilst cars drive through, it is not really ideal in my opinion. If you don't prefer walking you can always hitch a ride on a motorbike. After a certain time in the evening the area is closed off to vehicles. I imagine that the nightlife here is good but in a different way to how Hanoi was but, what do I know? 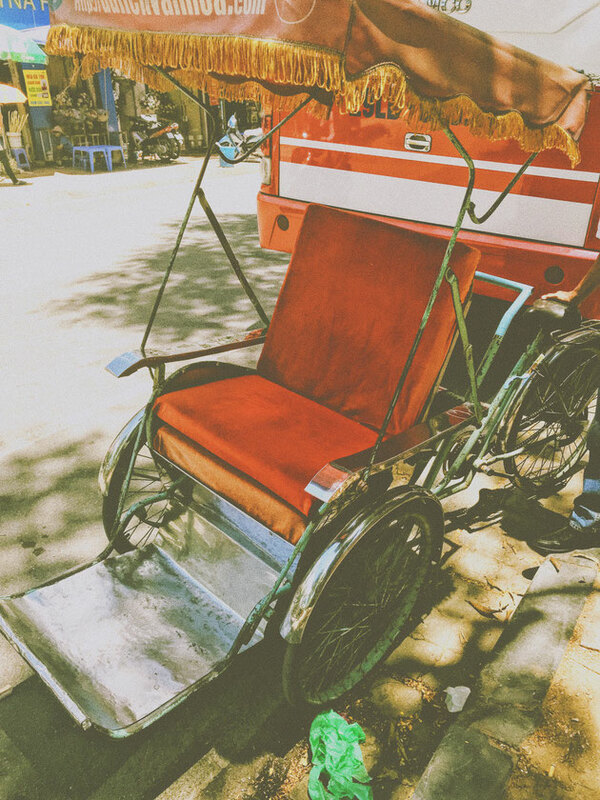 We decided to rest for a short while before going to the Hoan Kiem Lake. 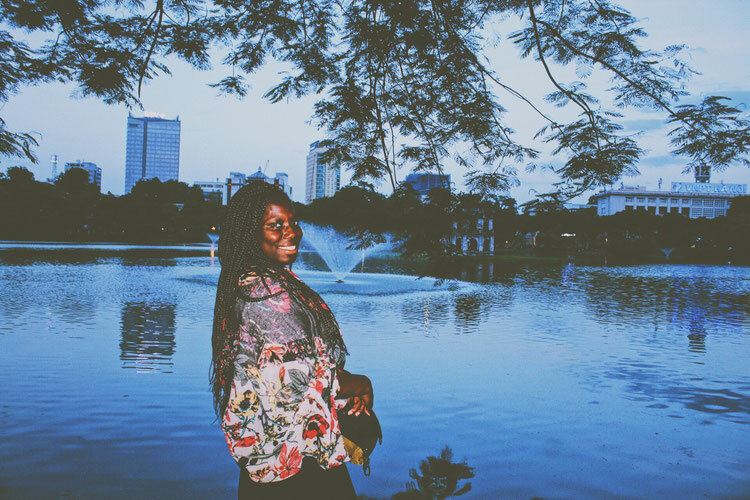 The location of the lake is pretty central and it is a picturesque spot ideal for a romantic walk with yourself or someone else. We chose to chill around the lake for a while before walking around the lake and surrounding areas. There is a temple in the middle of the lake but it had closed by the time we had arrived and if I am perfectly honest with you I was well and truly templed out by this point of our trip. Afterwards we headed off back to the hotel so that we could get adequate rest for the long day tomorrow. All roads lead to Ha long Bay today! I will cover this in a separate blog post as it's too good to just talk about in minimal detail here and besides, I want to share all the lovely shots that I managed to get too. Today was my first and only solo day during the duration of my travels. 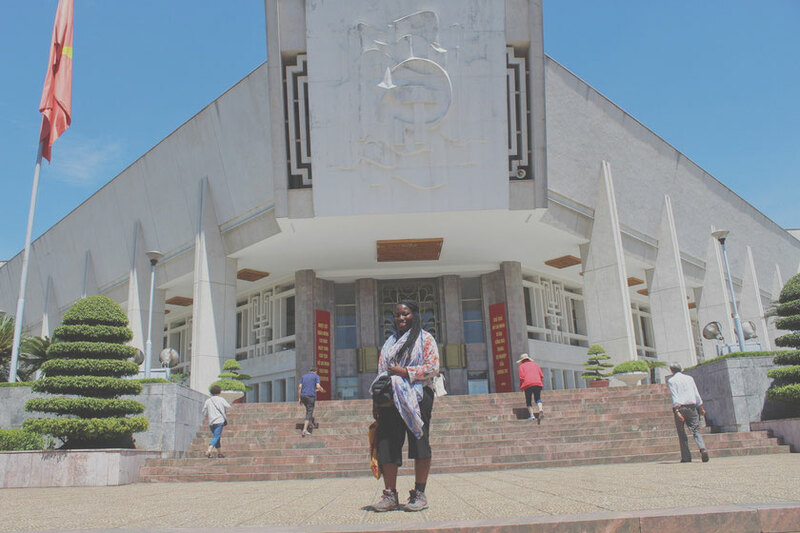 I decided to make the most of it and hitched a ride on a motorbike to Ho Chi Minh museum. Earlier on in my previous post of Saigon I discussed how I was introduced to this important historical figure. 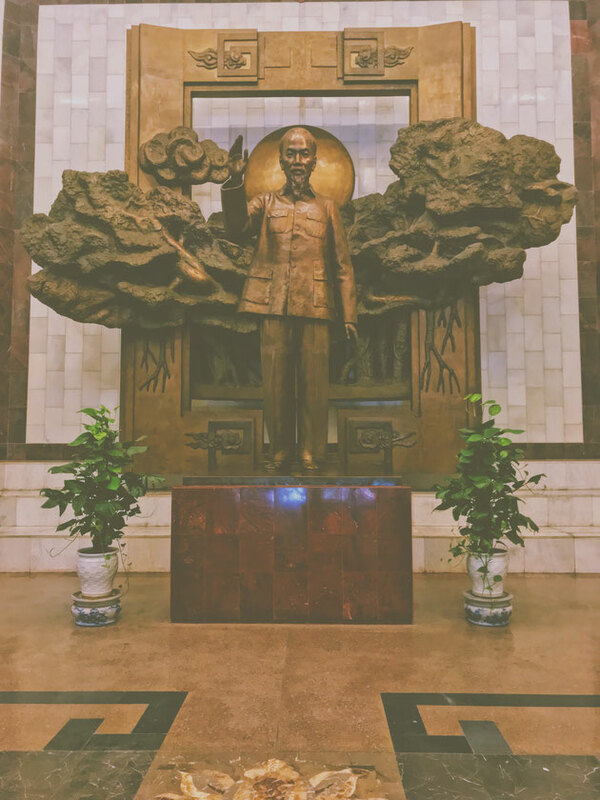 Well, this continued in Hanoi and going to the museum served as a good way of getting a deeper understanding of who he was. One could say that the museum would provide a positive bias as it will not paint him in an unfavourable light but therein lies the challenge of history at times; dependent on the source, facts can often times be interspersed with opinions. I was aware of this but decided to go with an open mind. The museum proved to be very informative though I will say that there is one room worth skipping unless you read Vietnamese as no English translation is provided. 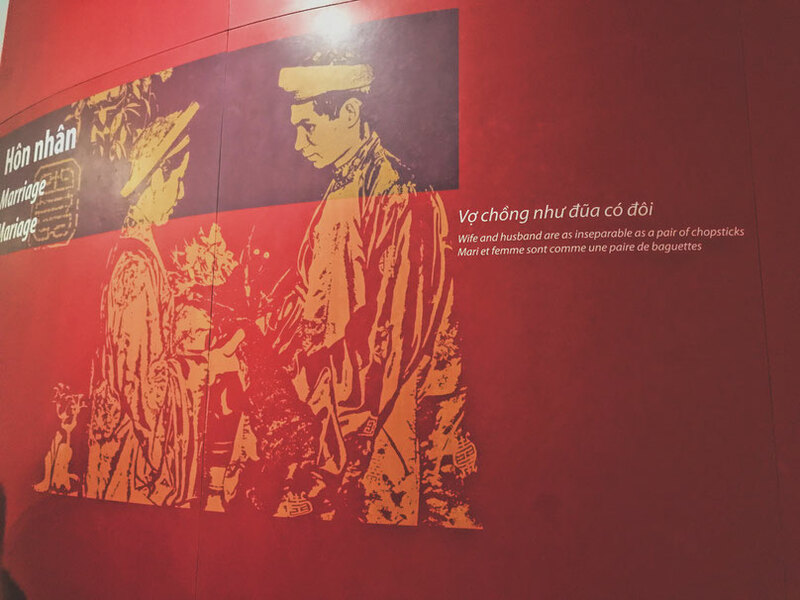 Aside from that the different rooms took us on a journey of Ho Chi Minh as a political figure and his ideologies, aims and objectives whilst others provided a sneak peak into him as an ordinary person. I feel that more information could have been provided but I can always get a book for that. Maybe I just felt that way as I really did want to know more about him. Whilst I do not agree with his ideologies with regards to Communism I do respect what he did for his people. Next to the museum was a small temple which I quickly checked out before proceeding unto the next stop. Because I just wanted to share a picture of this. No reason in particular. It does not end there however as his Mausoleum is a short walk away from the museum. It is safe to say that this building is for posterity and nothing else as one cannot enter and there are guards studiously placed outside at all times. In a country that appears to revere him it is no surprise that such a building exists. It is hard to ignore the influence he had as he is displayed everywhere and of course Saigon was renamed after him. I am yet to come across anyone who has opposing views of him and I would be interested in engaging in dialogue with such. Love him or hate him he does cut a very important figure in Vietnamese history and in this modern day too. All one can do is pose outside. Literally. Shoutout to the stranger who took this for me. Before the reunification of Vietnam as one nation Hanoi was the capital of North Vietnam whilst Saigon was the capital of South Vietnam. There is still so much more on this piece of history but I will read up on it more in due time. My next stop the temple of literature which was the first national University of Vietnam. Nowadays it is a popular tourist attraction due to its picturesque nature and history too. I won't go into detail with the latter but a quick google search provides more than enough information of the place. I decided to walk to the place as it wasn't too far from the museum-mausoleum complex. Google maps offline came in handy for that as it has done for the duration of my travels. 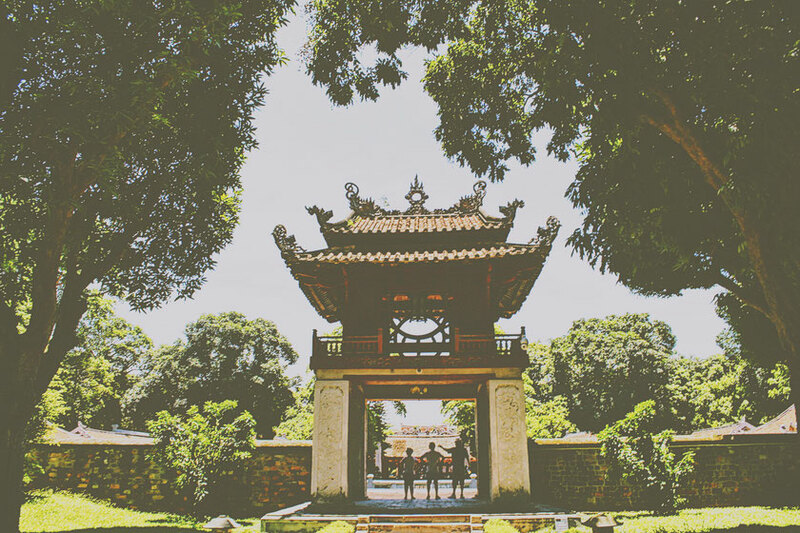 The Temple of Literature consists of a number of buildings whilst also provide historical information. Here I am in one such building. Tired but not defeated. Yet. Afterwards I got on transport unique to Vietnam (maybe) known as the cyclo. A picture says a 1000 words so here is one that better explains what it is. 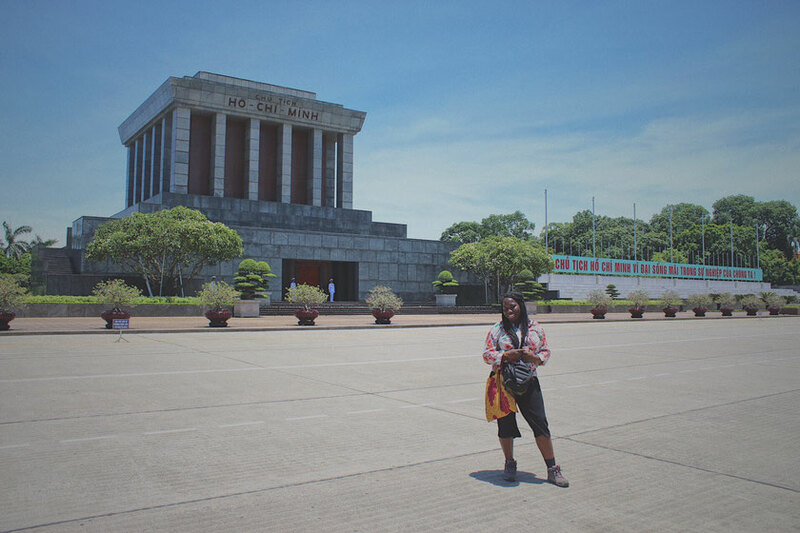 The driver took me to my next destination which was Hoa Lo Prison; Hanoi Prison museum. 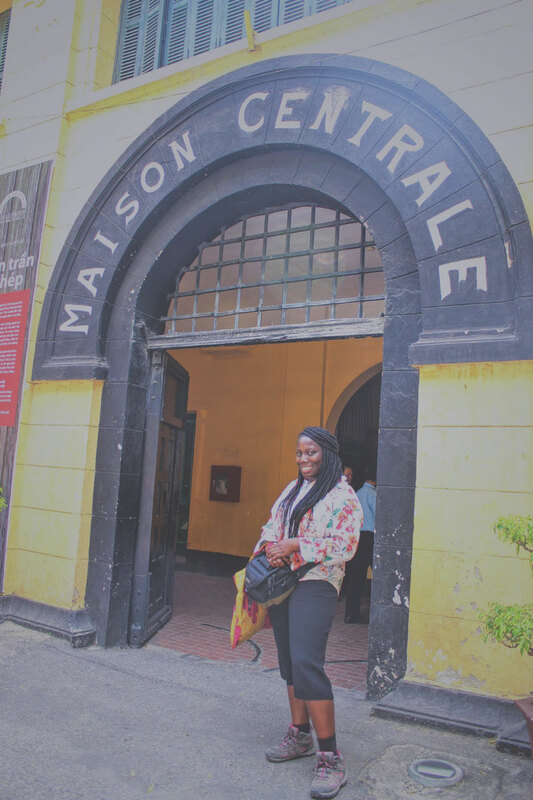 It was built by the French for prisoners but what really stood out to me was that whilst the were physically imprisoned they did not allow themselves to be mentally captured. A lot of secret intelligence took place here especially during wartime and whilst the prison was built by the French the Americans took over during war. 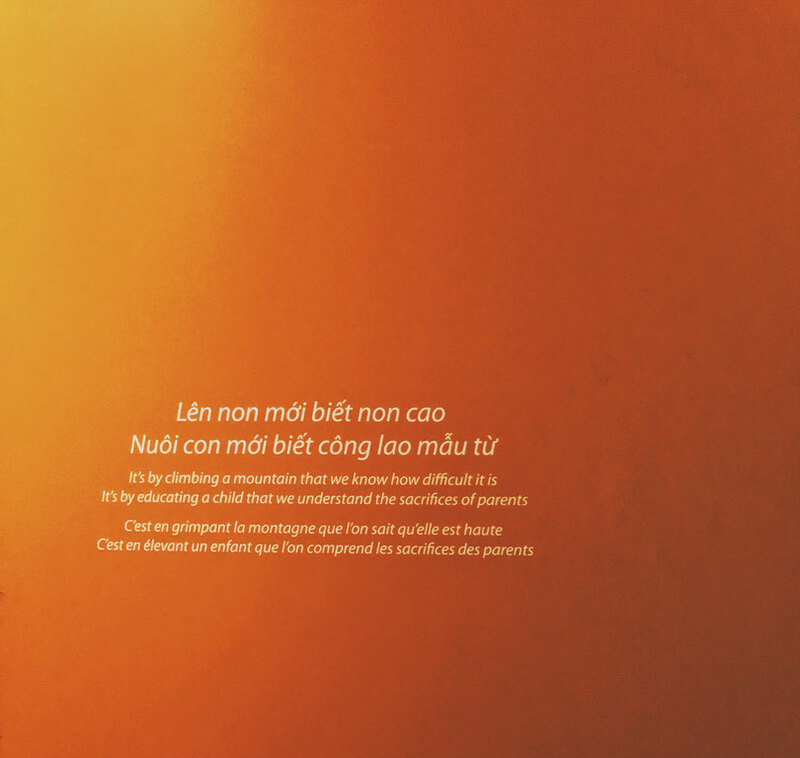 I really would recommend checking out this site if in Hanoi as it is packed with history and the layout of it all is also conducive to learning more about what went on in the prison. Outside the Museum. All you have to do is ask (nicely of course). There is always someone willing to take a picture of you. 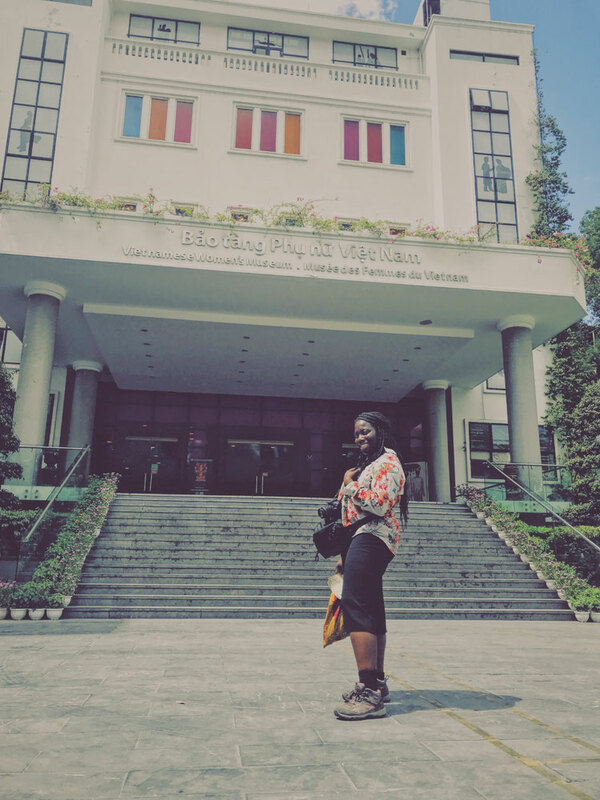 My last and final museum stop was the Vietnamese Women’s Museum which I thoroughly enjoyed. I mean, do you really think I would skip such a museum once I knew that it existed? Never! 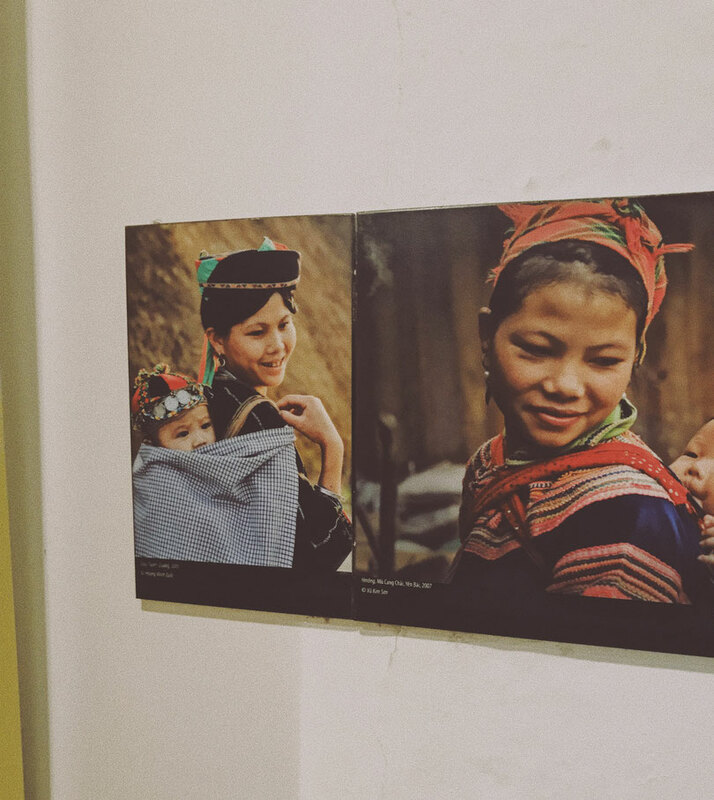 There are a number of floors that tackle different facets of womanhood in Vietnam from childhood, marriage, childbirth/rearing, fashion and their role in society and religion too. 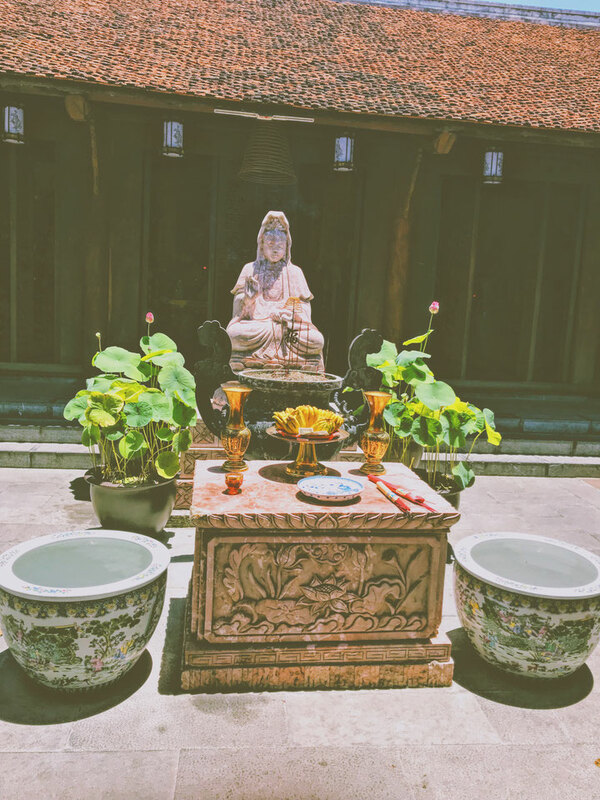 I learnt a great deal on each floor and I quickly learnt that there are a number of different ethnic groups in Vietnam which is also reflected in the way various groups conduct their wedding ceremonies. There were a few traditional proverbs that caught my eye which I will share below alongside some pictures too. 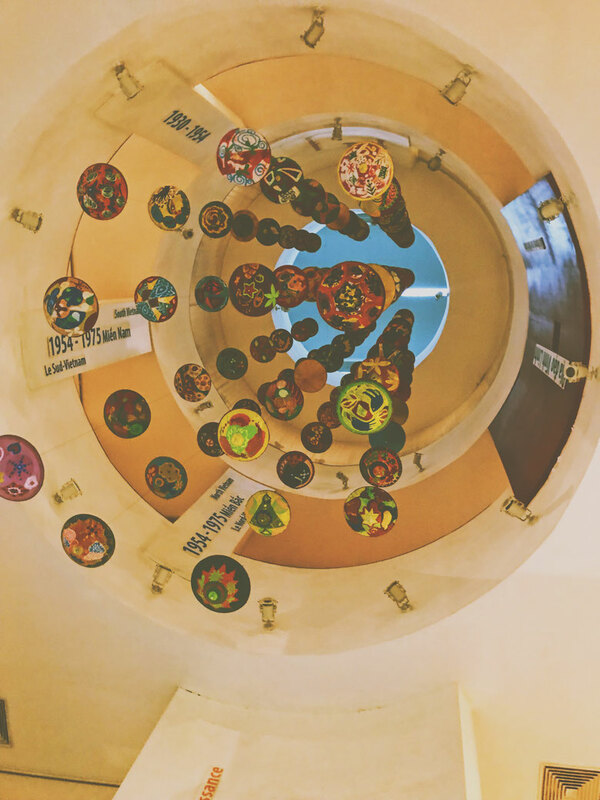 This is the centre spiral of the museum that runs through all the floors. Quite cool. 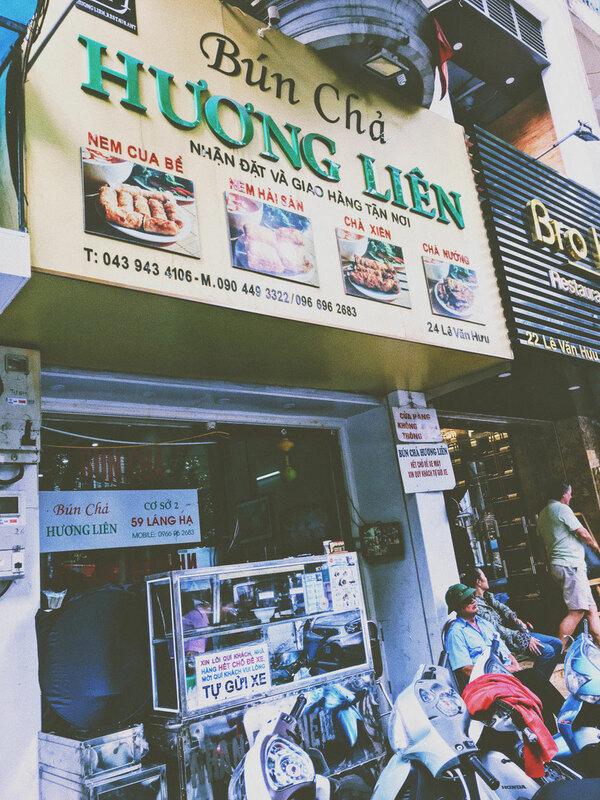 My last stop was the famed Bun Cha Huong Lien restaurant where Barack Obama ate when he visited Vietnam. I wish I could say that I tried their food but I didn’t as there were no vegetarian offerings, it was strictly meat. I didn’t realise this until a conversation aided by a language translation app with a waitress. Still, it seemed like a cool place and I’m sure if you ate meat you would know. I then tried to get a cab back to the hotel but quickly left as the driver tried unsuccessfully to rip me off. I decided to walk aimlessly for a while before settling on some trusted McDonalds along the way. Before I am crucified I did try Vietnamese traditional food which was great by the way and I managed to try a seafood version of bun cha (I know this is grammatically incorrect as the dish is pork but you get my drift, I had one without pork). 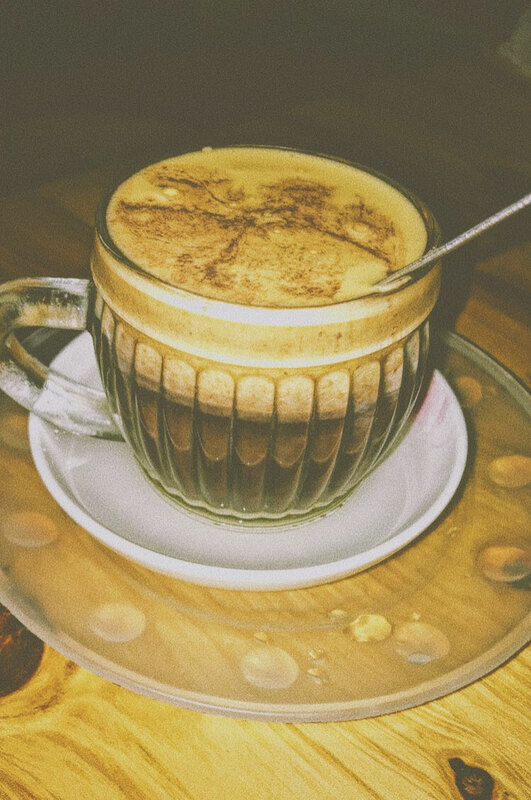 A drink that seemed to be popular here was hot chocolate or tea with egg. Like an actual runny egg. I decided to give it a go and it wasn’t too bad. Would I try it again? Possibly. A classic case of 'look but don't touch'. Maybe you'll have better luck there if you eat meat. 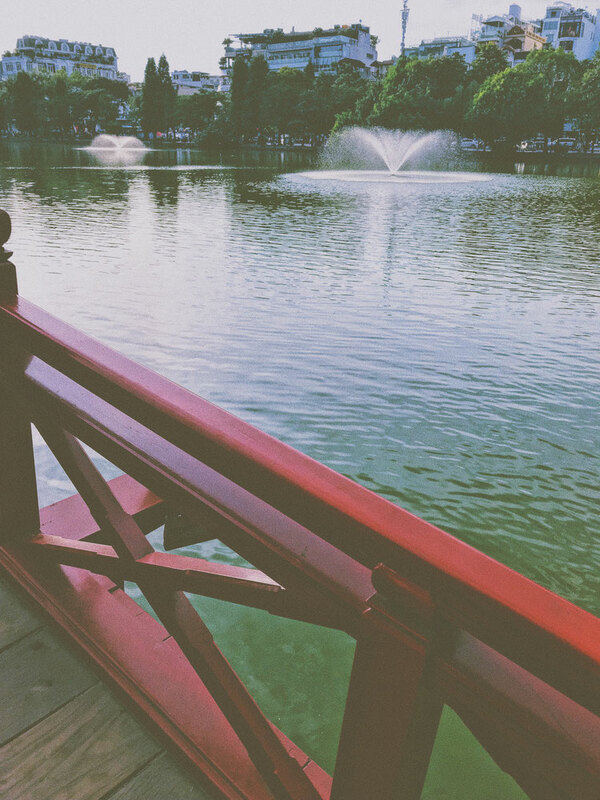 On the way back I walked by the Hoan Kiem Lake again and crossed the bridge that led to the temple which I had no intentions of entering due to reasons that I have mentioned before. Luckily for me it wasn’t too far from our hotel and with that I headed back there for some much needed rest! Upon reflection I had one long day with loads and loads of walking but I had a great time and I enjoyed seeing what Hanoi had to offer! Early morning flight to our next and final(whew) destination- Hong Kong. P.S. 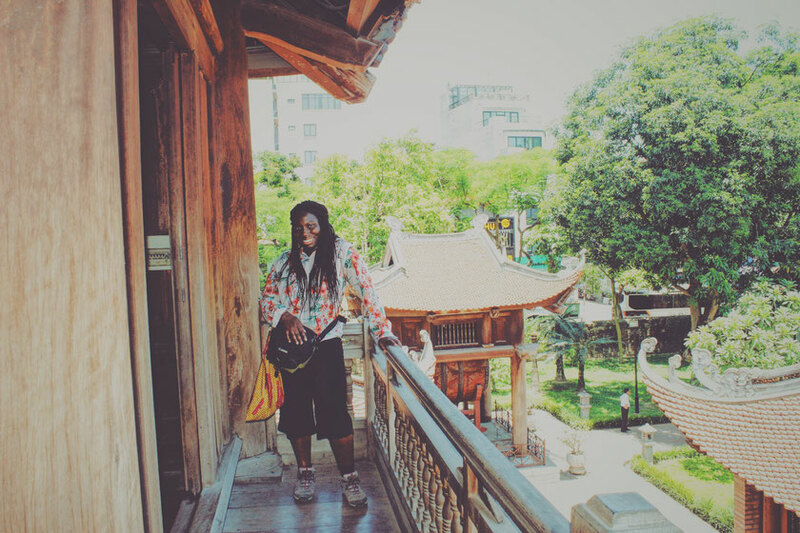 Next week I will talk about my time at Ha Long Bay so keep your eyes peeled for that!